Welcome to extended version of Magic Bob’s one hour show. This two hour show is perfect for the full party experience from Bob, and will completely take the pressure of entertaining out of your hands. Along with bringing laughter and amazement with his comedy magic show, lots of other exciting events are to follow. As with the One Hour Show, during the magic show, your child will receive a special birthday card from the man himself. 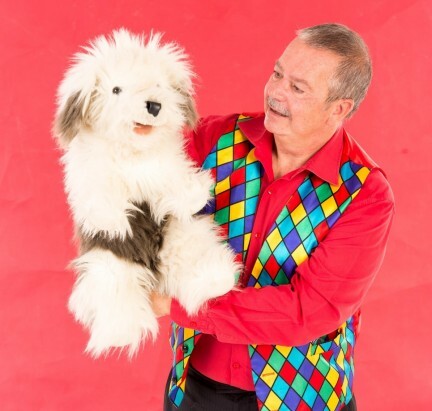 Firstly, after the magic show, children will enjoy a wonderful birthday tea, with Bob leading the children with a Happy Birthday sing-song for your child. While tucking into their treats, your son or daughter will feel 100% special throughout. Magic Bob will then keep the children entertained with disco music, LED disco lights and dancing songs which will get children moving, including such classics as The Music Man, The Hokey Cokey, Cha Cha Slide and the Macarena! The party then continues with fun and exciting games, like Music Bumps, Statues, Stick in the Mud, People to People, Pass the Parcel and The Mummy Game. The latter provides some great photo opportunities with parents, who can also take part. You might also feel tempted to partake in some of the other games, which are irresistibly fun! Alternatively this is a great time to cut the cake or light the candles, as kids will be kept fully entertained. At a small extra cost, Bob can also provide balloons animals, such as poodles, flowers, parrots, hats, swords, etc. As with most entertainers, Magic Bob is most in demand on weekends and mid-afternoons, so book early to avoid disappointment. It’s a good idea to arrange a children’s party on a weekday after school or during school holidays, which is less hassle for you busy parents. For more information please contact Magic Bob on 07800 905976. Alternatively, simply fill out an online contact form.